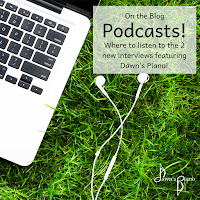 During the month of July, I was invited to participate in two different podcasts. In today's post, I'm sharing a little of my personal professional journey, and my excitement with you about each these opportunities. Any who've followed the blog recently will know that this has been a very transitional year with my move & re-imagining my studio to incorporate both online & group lessons. The support from the piano teaching community at large has been terrific, and I was so happy to be able to return the favor in giving to these two interviews. Today is my first day embarking on a bit of new music teaching endeavor with Arts After School. This program is a non-profit after school program for middle school students here in McPherson, and enrollment is 100% free to students! This year we are offering Modern Band (think Pop/Rock ensemble), Drawing & Culinary Arts. If you hadn't guessed, I will be helping out with the musical end of things in the Modern Band classes & coaching the keyboard players. Part of the reason I signed on for this when I'm already in the midst of rebuilding my private studio, is that I really like what this program is offering. 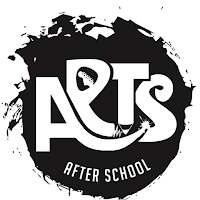 Arts after School is giving these kids useful skills to build their self-esteem, confidence and self-expression while helping them find a productive way to spend those after school hours before parents get home from work. This is an arrangement that was requested by a student several years back, and was a studio favorite among my intermediate students for a few years following that. One student would perform it at a recital, and others would ask to learn it after the performance. I even had one young lady who was asked by her priest to perform it in church after he heard her playing it in one of the Sunday School rooms because he liked the sound of it. The arrangement provides a good introduction to triplets because the tempo of the piece is very slow and the majority of the melody's rhythm is triplets. The solo also features a section of the melody played in octaves, providing good practice in right hand octaves and creating that epic, full sound that we know our teen students love, before the song winds down. You can listen to the arrangement below, and if you're interested in trying it out for yourself or a student, the sheet music is available for purchase on Sheet Music Plus. We've all had that moment when we realize we've double booked or have a conflict. It happens. And sometimes your piano lesson may be one of the conflicted schedules. When this happens and we are unable to reschedule a time within the week or if its within 24 hours of your lesson, I will use your regularly scheduled lesson time to create a recorded video lesson for you to do at your convenience. 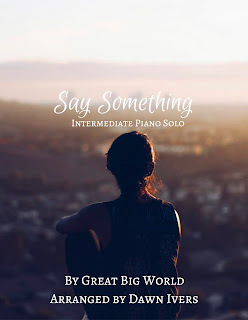 And let me tell you, I love these as an alternative to missing lessons, because they keep your piano kid's progress and momentum going, PLUS it is one less thing for you to reschedule, and it takes so much the stress out of those "oh no, we have a conflict!" realizations knowing we have a solid backup plan. 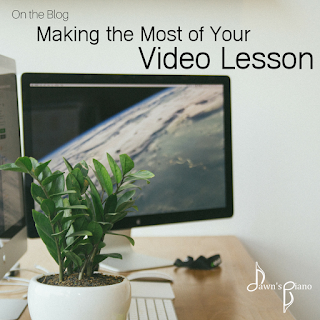 So today's blog post is all about what's in a recorded video lesson, and how to make the most of it.